With the onset of shorter days and cooler weather, soil temperatures are dropping too and in our region that means the growth of native pasture slows markedly. 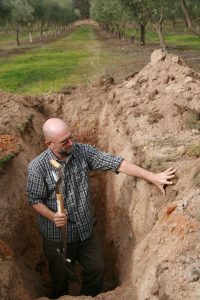 This niche, created by a dormant winter pasture, is being exploited by landholders participating in Watershed Landcare’s ‘Pimp My Pasture’ project to grow a fodder crop. Participating landholders planted multiple fodder crop species in autumn, utilising a technique where crops are planted directly into the dormant pasture, or Pasture Cropping. As well as providing livestock feed over the winter feed gap, Pasture Cropping has many advantages over conventional techniques, as ground cover and soil structure are not only maintained but improved. Using direct drill or zero till seeding equipment is beneficial for poorly structured soil and encourages water infiltration. Utilising multiple species also enhances soil structure and paddock species composition. Pasture Cropping in less productive paddocks, with fewer perennial species can be used to increase the perennial species in the summer pasture. In paddocks with poorly structured soil, Pasture Cropping can improve soil structure, soil health and water infiltration. The project paddocks were grazed heavily pre-sowing to remove some of the tall grass and create mulch on the soil surface. The purpose of the heavy graze was to remove weed species and create mulch from the standing grass, by using the animals to lay the grass onto the soil surface. 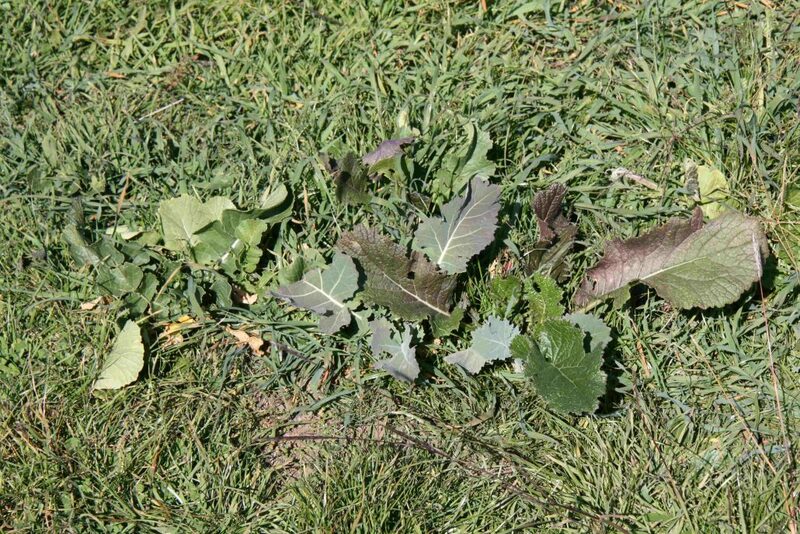 The animals also removed the green leaf material from the plants which, in turn, pruned the plant roots. This removes competition for the, soon to be sown crop, from above ground and below. The dying plant roots also add decaying material and nutrients to the soil. The animals also add manure and urine, which, when combined with plant litter creates a composting layer on the soil surface. There are many advantages in using a combination of forage species instead of a single species sown as a monoculture: better quality stock feed (faster fattening, less or no scouring); improvements in soil structure; improvements in soil health; good nutrient cycling; balance soil carbon/nitrogen ratio; attracting beneficial insects. For this project a mix of annual forage species (oats, vetch, field pea, daikon radish, tillage radish, forage brassica and turnip) was planted. This mix is beneficial for improving soil structure, nutrient cycling, and produces good stock feed. The multi-species pasture crops are growing well and will be grazed over the coming months. The ‘Pimp My Paddock’ project participants will be monitoring whether this helps to enhance pasture management and increases paddock rest times over winter. This project is supported by Watershed Landcare through funding from the Central Tablelands Local Land Services and is a part of the NSW Government’s Local Landcare Coordinators Initiative, supported through the partnership of Local Land Services and Landcare NSW. What helps the environment, saves money and feeds the soil at the same time? 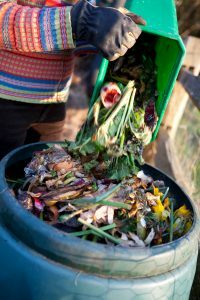 May 7 to 13 marks International Compost Awareness Week in Australia. 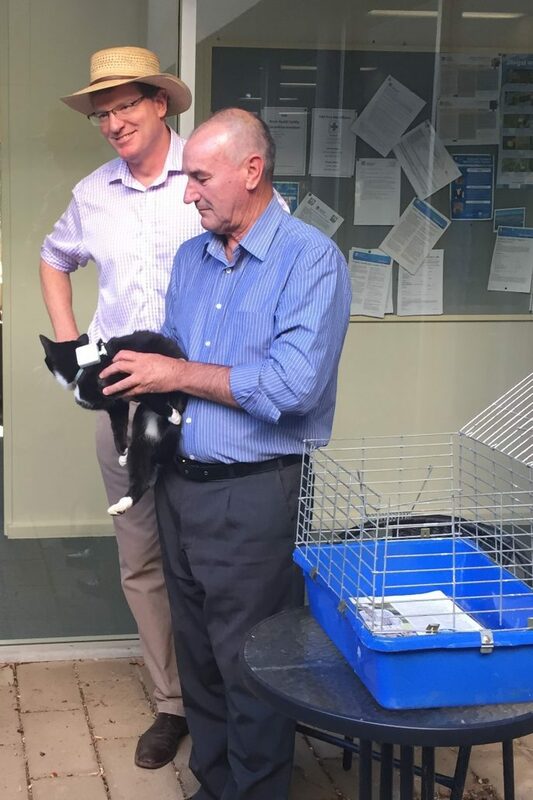 This is a week during which Australians are invited to pay closer attention to what they put in their rubbish bin and consider that often about half of that could be put to better use. Compost is not only a valuable organic resource (plants love it and it helps to build healthy soils) but also it reduces the volume of material going to landfill, the associated detrimental environmental effects and makes economic sense too. Diverting organic materials from landfill and properly composing them can help in the effort to mitigate the effects of climate change by reducing methane emissions and contributing to soil carbon storage. Using compost as a fertiliser or soil conditioner returns carbon into the soil, where it can be locked up or utilised for plant growth, rather than being emitted into the atmosphere. The existing landfill cell at the Mudgee Waste Depot will reach capacity within 10 years. As space runs out and alternatives need to be sought, costs are likely to increase. So reducing the amount of organic waste going in will prolong the life of the existing landfill site and reduce the costs long term. Composting reuses food waste and nutrients are recycled into fertiliser. By applying compost to gardens, farms and other land uses, nutrients are returned to the soil to feed diverse soil life. The bacteria, fungi, insects and worms in compost support healthy plant growth, rather than letting organic waste rot away in landfills. So start a compost heap (or worm farm or get a few chooks to take care of the scraps), reduce waste and your carbon footprint. Happy composting! http://watershedlandcare.com.au/wp-content/uploads/2017/05/compost_small.jpg 1696 1132 wslc http://watershedlandcare.com.au/wp-content/uploads/2016/12/logo-watershed-300x104.png wslc2017-05-12 10:07:412017-05-31 10:08:28What helps the environment, saves money and feeds the soil at the same time?